and are now 163,000 net short. this is historical. correct just like the metals. the Big Banks when they act like this? COT Report is ugly again, today was ugly. Just wish that one time the commercials aka banksters would get punched in the mouth. I’m convinced the only reason they hold ANY long positions is to dump them on the market when the price goes up. Silver was down right depressing today. Dumped my EGO this am, fortunately for a profit, but no doubt I’ll get crushed on USLV. Nothing like pm’s in any market. as soon as the SM slips, in pile the PM stox sellers. Looks like they are pileing into the long Au short PM stox trade, guessing the rally is over. GG has given them the excuse. Here’s some dirt FWIW that might as well see the light of day. gives a Rousing endorsement to TRUMP that takes the OXYGEN from Rubio’s room..
TGR: Last summer when we talked, Brent, you compared the mining market to a wasteland. As we approach the other side of the junior mining equity valuation desert, how will we know if it is an oasis or a mirage? BC: I envision the past four years as a tribe of the unwanted crawling across a foreboding abyss comparable to the Great Salt Lake desert in the middle of summer. It’s just been brutal. As we made our way across the salt flats people just lost the will, went broke and in general fell to the wayside one by one until there was only a small group of us left. But I think we’ve finally stumbled onto a bit of water. It does not appear to be alkaline. I think this is for real, but we have to remember that Donner Pass lies up ahead. You know how that turned out for the unprepared. Frank Giustra Announces Holdings in Gran Colombia Gold Corp.
Yeah…this looks like it’s gonna be a major hit, looking at how it’s coming in waves, as soon as any stability looks like happening. Dollar and SM bid, PM’s offered. only change is that now they have realised, that killing Oil ain’t smart, unlike PM Co’s. It’ll be a half day at best for Dimon and his mates, before they get on their jets to Aspen etc. Pretty much the same every time any data comes out. Their going to try to create another waterfall. We’ll see. I wonder is GG now a dog stock, that needs huge metal prices to get moving. As u say it is being clobbered and no doubt will be the excuse for the Scum to sit on PM stox tdy. As I said they hit all the mkts at 8 am Lnd time and have ensured everything was “their” orderly ever since. Laughter to go with your morning coffee. This years election will come down to something new and risky to something old and corrupt. Yeah, some not very good results from GG, so we can probably expect the standard 20% hit on that one today. Unfortunately it’s in the indexes and funds so it’s dragging them down a bit, but not all that much. Surprised the metals are up a little this am with oil and SM futures higher although the USD is a little lower. 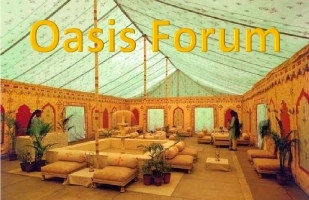 Good morning Oasis members ! The above is a lot of gold to supplement the banksters with more ammunition. At an average price of $1150/oz that’s about 410 metric tones of gold. Just wonder if the market can absorb such amount.